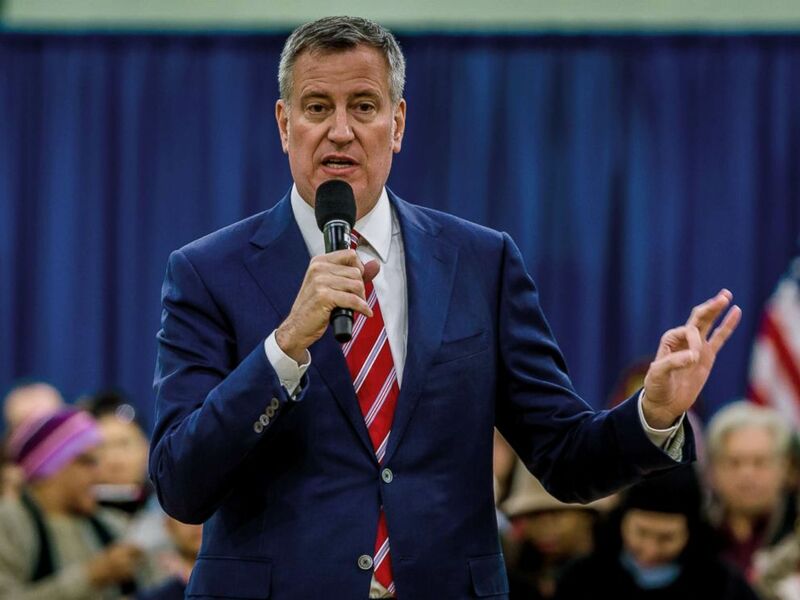 New York City Mayor Bill de Blasio on Tuesday will unveil a plan that provides health care to all city residents, regardless of their ability to pay or their immigration status. The new program, NYC Care, will guarantee health care for the estimated 600,000 New Yorkers who do not currently have health insurance, according to the mayor’s office. Undocumented immigrants will also be included in the plan. The mayor said the plan would encompass primary and specialty care as well as maternity and pediatric care and mental health services. New York City Mayor Bill De Blasio hosts a town hall meeting in Chelsea, March 15, 2017. Of the 600,000 uninsured New Yorkers, many are “young invincibles,” de Blasio noted, including young people who can afford insurance but choose not to get it. De Blasio said NYC Care would work on a “sliding scale” where “people will pay what they can” for care. New York City has a public option for insurance already but NYC Care will pay “for direct comprehensive care” for people who can’t afford insurance or are not on Medicaid, de Blasio press secretary Eric Phillips said on Twitter. The program comes with a hefty price tag for the city but de Blasio said he believes it will ultimately save New York money. “If we don’t help people get their health care, we’re going pay plenty on the back end when people get really sick,” he said. It will be available to New York residents through the NYC website or by calling 311. Alexandra Svokos contributed to this report.